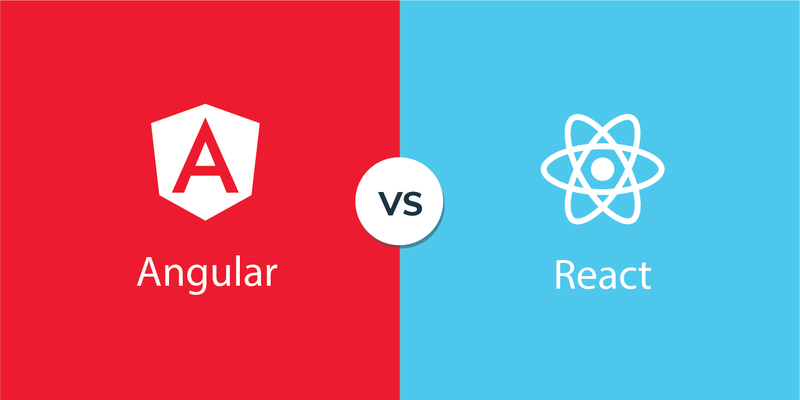 A thorough comparison on Angular and ReactJS in respect to the robustness, scalability, and reliability of volume and spending plan of the project with the quality of experts included in the team makes the conclusion. 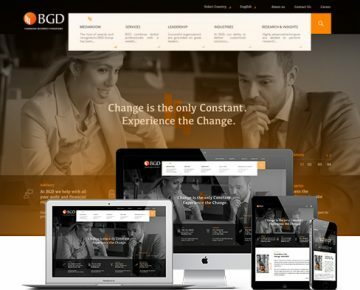 Progressing with the deep study on each category, you will encounter tough clash since each frame of reference has its own pros and cons that compete for each other to build exceptional web applications. In the year 2009 Google came out with the new technology ‘AngularJS – an open source client-side web framework’ which addressed the difficulty with single page web development process. AngularJS combines the basic developing principles, patterns, designs etc under a single roof, making the workflow easy for a developer. Model View Controller(MVC) and dependency injection are scraped together to accelerate the web application development. Directives are used here to join the codes in DOM (Document Object Model), where DOM can be accessed only through directives. In order to create private AngularJS directive, you need to write complex syntax. Dependency injection is associated with Angular where a single object supplies the dependency on others. One who is reading the code can easily sort out the modules in relation to the functionalities. 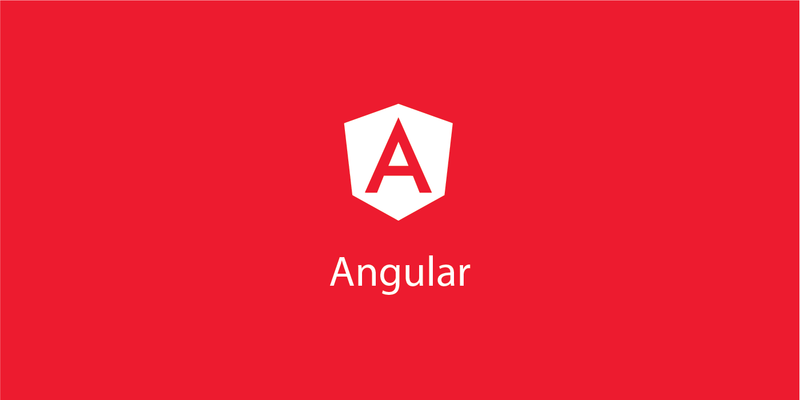 Angular cannot be considered as a library, in fact, it gives the basic structure and frameworks for the construction of an application. Once you want to start a new project, you can set it in the fresh function page without waiting for the libraries to get accessed. The latest version of AngularJS was released on 7th January 2019 which is labeled as Angular where the AngularJS name remains with the old version. Special concern on security should be implemented for the apps to be safe. A large amount of reusable components makes the coding part easier. It also supports modular codes that are roughly written. The total architecture is different from that of AngularJS since it uses the MVC framework. A predefined structure cannot be seen here, instead, the developers can update what they wanted to show their clients. React don’t have the MVC framework, yet equipped with the V-view module. Other factors should be created with respect to the requirements. The Model and Controller layer is absent here and in order to fill the gap, we have the flux to regulate the workflow. Presence of discrete components that are nested inside a loop with reference to the category ease the burden of coding. The total number of writes to DOM is minimum in ReactJS architecture, which is the slowest portion, hence enhances the speed. 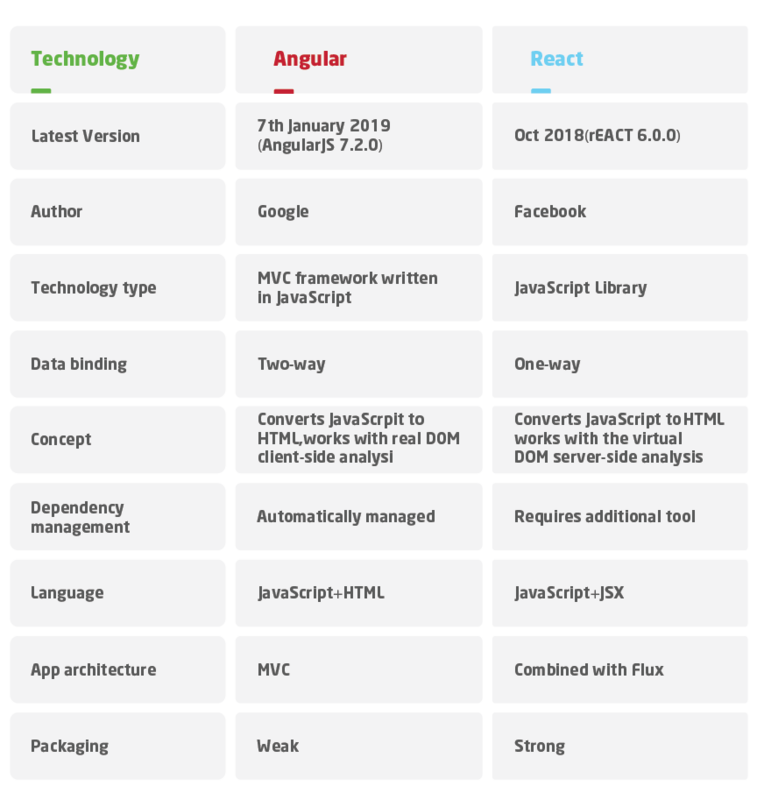 React is more flexible in comparison with Angular, perhaps in terms of predefined libraries that can be compatible with all types of functionalities. Increase in flexibility automatically escalates the quantity of tension. Once you are assigned to a project you should build all the resources and the guidance for the same limits to a long extent. The built-in tools we have in React are boilerplate and linters & time-sinks that creates bit confusion for the freshers. Getting looped in the architecture alone won’t help you to get the products delivered, but need to think beyond the limitations. Architecture is based on the components which can be easily imported. Creates machine-readable codes and compound components that compiles with the verified file. Abrupt analysis of DOM operation is possible. Availability of virtual DOM (Document Object Model) that will ease the use of large databases. 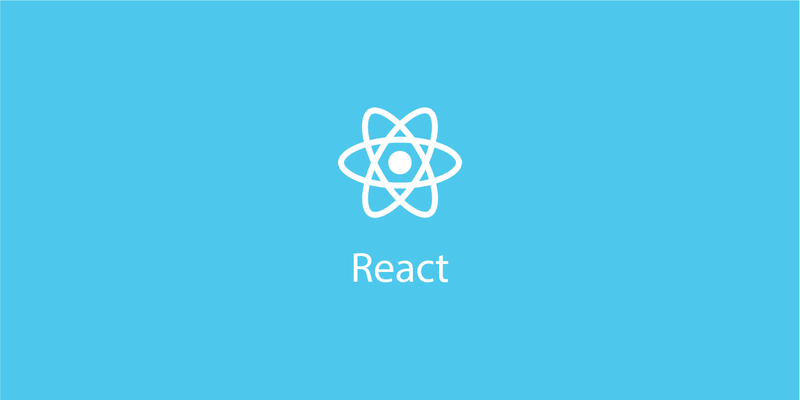 Being JS centric, ReactJS looks simple. Debugging is easy since one-way data binding is possible. Ever changing architecture puts developers in dilemma. The new configuration should be put up when ReactJS joins with the MVC. Webandcrafts is a web development company in India. We are focussing on the latest technologies and updations to deliver the competing products. We target the client’s requirements to fulfill their dreams under a strict time schedule and at an affordable price range.